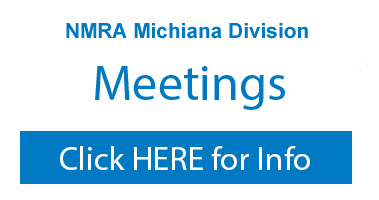 The NMRA Michiana Division holds scheduled meetings on Saturdays at public libraries located around the division. Our meetings are open to the public and we always welcome potential new members to join us. The April meeting is scheduled for Saturday April 20th at North Liberty Library, 105 E Market St. North Liberty Indiana. The meeting starts at 12 noon. The agenda will be Xxtreme Modeling! Join us! A visit to a local Model Railroad Club and other area layouts!